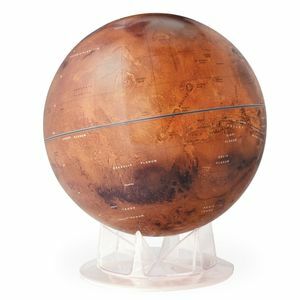 We’ve brought back one of our most popular globes! 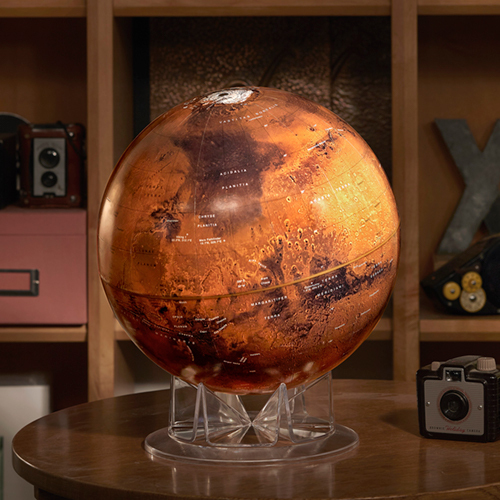 The Mars desktop globe approximates the planets true color created from more than 6,000 images taken by the Viking Orbiters and features 140 official named features. Produced in cooperation with NASA and the U.S. Geological Survey, this new edition comes with an updated 16-page booklet about the surface of Mars, authored by Dr. Michael Carr of the U.S. Geological Survey, who is a leading expert on Martian geology and history. 12” diameter with acrylic pedestal base.